Shades or drapes? 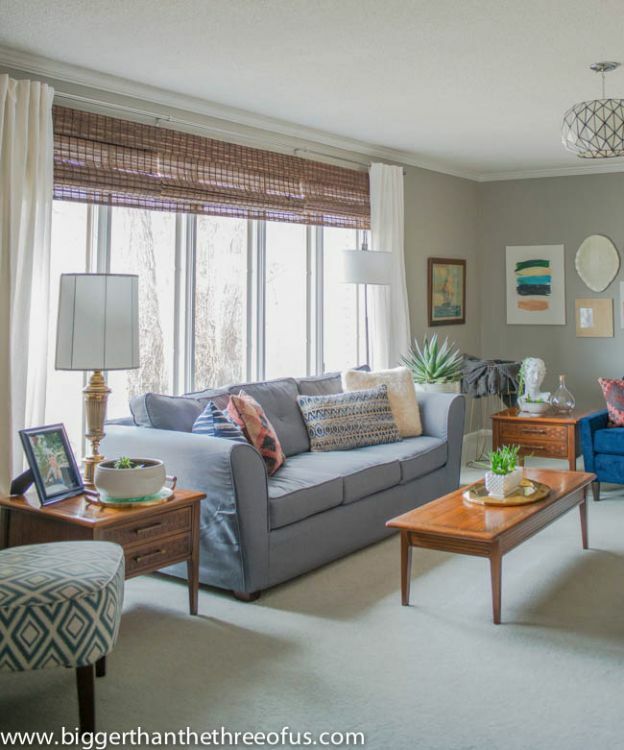 It's the first question to answer when deciding on window treatments, and it can be surprising to discover how subjective the answers can be. "I like drapes," says Estee Stanley, design expert at My Domaine. "I feel like they make a room feel more finished. They're more luxurious." But even drapery-diehard Stanley admits that there are decor situations for which shades are better suited than drapes: small windows, bay windows and windows next to beds. 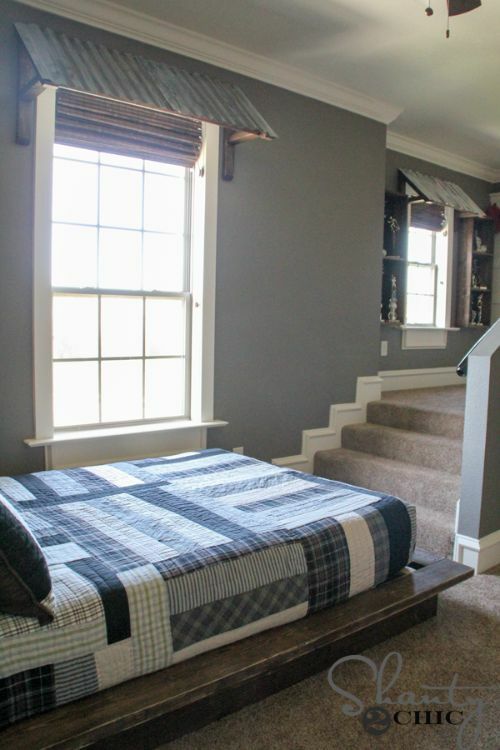 Do you think the window treatments featured below agree with those guidelines? When Ashley Mayes heard about a great sale on bamboo blinds, she ran right out and purchased a "carload." 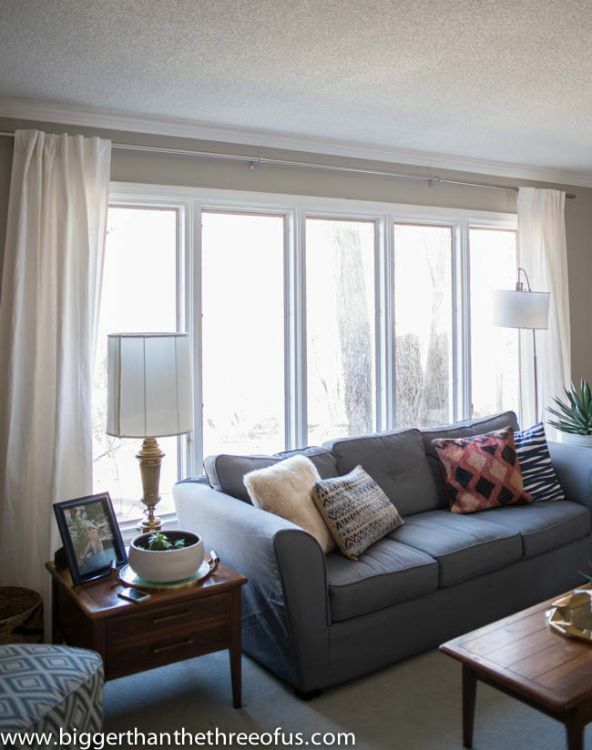 After refitting windows in a couple of other rooms, she realized that what she had left over for the living was about 3 feet too long. Just before she put the remaining bundles of blinds into the garage sale pile, she found a way to trim the blinds to a proper fit; see how at Bigger Than the Three of Us. The result? 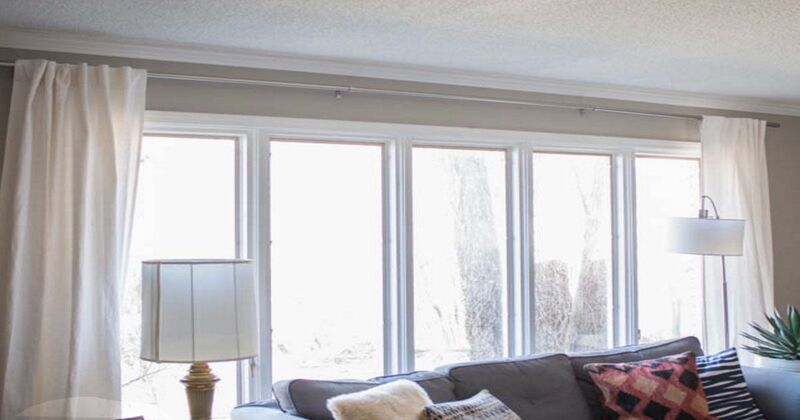 A large, functional window treatment that looks like it cost big bucks. For a window that faces the neighbors AND the sun, try this technique from The Shingled House. 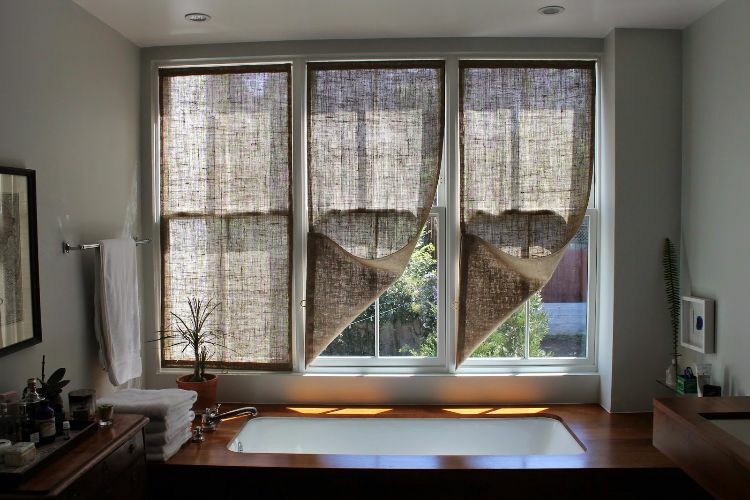 Burlap shades provide just the right amount of privacy, shade and transparency, plus visual warmth. You don't need scrap metal to create the look seen here, from Shanty 2 Chic. The tutorial shows you how to build them from new materials, including how to age them to the look you want — keeping the total price to about $10 each awning! Ruffled curtains had become Rachel's choice for her cottage-style guest room, but she was faced with a problem: she's not a seamstress. She gave it a go anyway, and discovered that "if you can sew a straight line, you can make these!" Full instructions are posted at Maison De Pax. 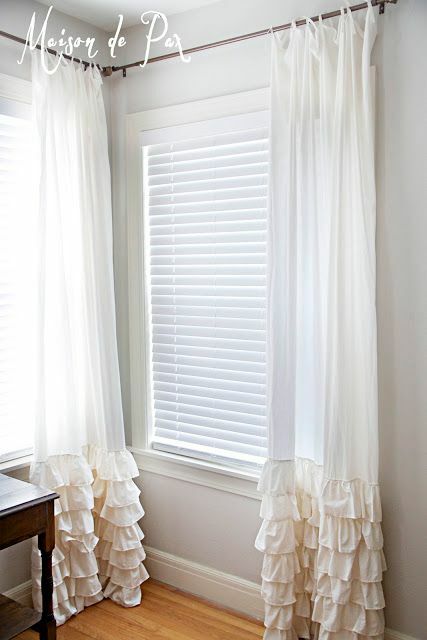 Rachel got her courage to try the ruffled curtains by first creating these smocked curtains. "It seems daunting, but once you get rolling, it's fairly mindless," she wrote at Maison De Pax. The result? 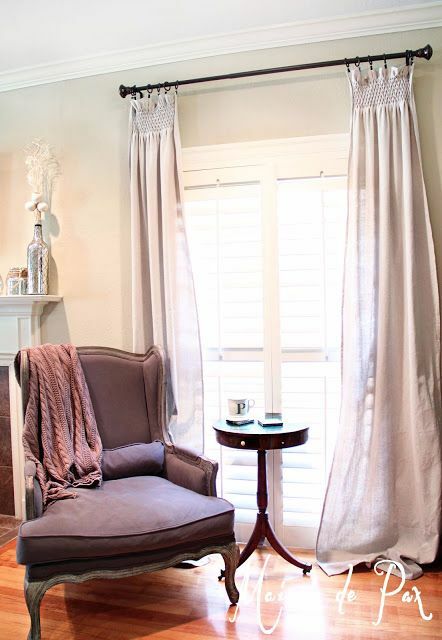 Casual drop-cloth curtains with a touch of texture and style. "Spray paint fixes everything!" says Melissa George of Polished Habitat. 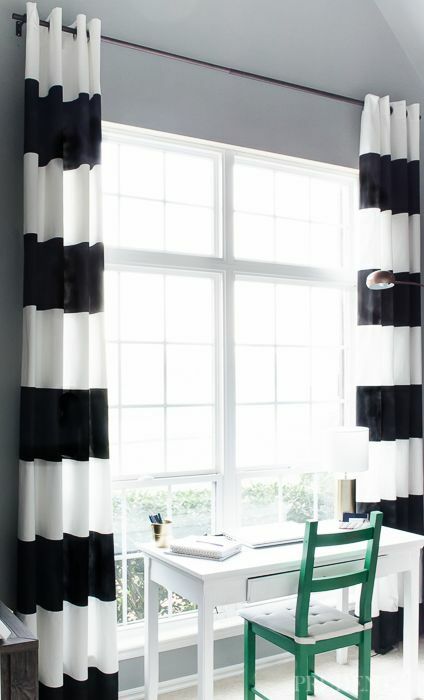 To make her office's design needs match her budget, George purchased tall, inexpensive white curtains and then used black spray paint to add the stripes. The paint worked perfectly, but the technique for getting the stripes' spacing correct might not be what you expect. What do you think — shades or drapes? Do you have a strong preference for one or the other, or follow any guidelines about when each should be used? Please SHARE these window treatment ideas and tell us your "shades or drapes?" opinion in the comments below! Backyards are sometimes overlooked as potential living space, but a yard tailored to a family's needs and interests can provide years of enjoyment.